People love to talk about themselves. For many of us, “Me” is our favorite topic of discussion. We love to talk about our experiences, share what we know, and give other people advice. I often wonder if we realize that nobody is listening. Our words are falling on deaf ears. There is another way to interact with people that will build deep and lasting relationships. I know one person who asks me a question, lets me answer for a few seconds, and then interrupts me to spend the next 10 minutes talking about himself again. I leave this kind of meeting feeling drained. I doubt that most people purposefully dominate conversations. Nor is their intent to be a know it all. I suspect, rather, that many people lack the self-awareness to realize that they mostly talk about themselves. It’s not that you can’t ever talk about yourself but that it must be rare. Leading every conversation by talking about your interests and experiences is a monologue, not a dialogue. What to do instead of talking about yourself? How would you describe your life today in one word? What is one goal or dream you would like to accomplish one year from today? If your life were a movie, what would the storyline and title be? I was one of the 365 people that David interviewed. It was energizing to have a person ask me questions about my thoughts, dreams, concerns, struggles, and aspirations. Covey argues that if you want to be an effective and influential person, you must build the skill of empathetic listening. There are five ways to listen when a person is talking. At a minimum, we should be committed to attentively listening. But my ultimate goal should be empathetic listening. Empathetic listening is working hard to see the world the way the person speaking sees the world. Empathetic listening is listening for feeling and meaning. Empathetic listening is seeking to deeply understand a person. Empathetic Listening helps builds deep relationships. 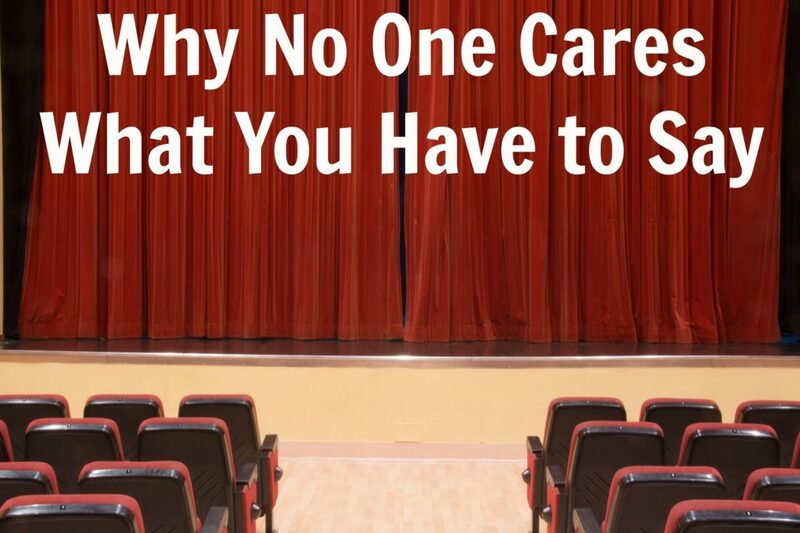 Let’s stop having monologues. Let’s stop dominating conversations. Let’s learn to ask good questions. Let’s commit to empathetic listening.